Mozilla Firefox is one of the most popular web browsers around, due in part to its speed and robust feature set, which can be expanded upon through a vast library of third-party add-ons. Not everyone is a Firefox fan, however, and you may want to uninstall it from your computer or mobile device. In other cases, removing Firefox could be a troubleshooting step if the application has become corrupted and you'd like to reinstall a clean version. No matter your reasons for doing so, follow the steps below to uninstall Firefox on your particular operating system. Make sure that the browser is completely shut down before continuing by closing all Firefox windows that might be open. When the pop-out window appears click Apps & features: System settings, located under the Best match heading. The Apps & features section of the Windows Settings interface should now be displayed, overlaying your desktop. Scroll down through the application list until you locate the one labeled Mozilla Firefox and left-click it once. Two buttons will appear directly under the Firefox option. Select Uninstall. A message will pop up stating that the app and its related info will be uninstalled. Click Uninstall accompanying this message. The Windows User Account Control dialog will appear, asking if you want to allow this app to make changes to your device. Click Yes. Firefox's Uninstall Wizard will now open, overlaying the Settings interface. Select the Next > button to begin the uninstall process. The location of your Firefox installation should now be shown. Confirm that it is correct and then click Uninstall. Firefox will now be removed from your PC. This process is usually quick, but may take longer depending on your computer's hardware configuration as well as the amount of data that is stored within the browser. Once complete, a confirmation message will be displayed. Click Finish to exit the Uninstall Wizard. Firefox can be reinstalled at any time by visting https://www.mozilla.org/firefox. If you plan to reinstall and want your previous data available at that point, we recommend skipping the remaining steps. Next, select the %APPDATA% File folder, found under Best match. The Roaming sub-folder of AppData should now be displayed in the Windows Explorer interface. Double-click the Mozilla folder to open it. Right-click the folder labeled Firefox and choose the Delete option from the context menu that should appear. You've now removed all leftover data associated with your browser installation. To get started, launch the Windows Control Panel. Select the Programs and Features option from the Control Panel interface. A list of programs currently installed on your PC should now be displayed. Scroll down until you locate the one labeled Mozilla Firefox, left-clicking it once to select it. Click Uninstall, located directly above the application list. A pop-up dialog will appear, asking you to confirm your intentions to remove Firefox. Click Uninstall accompanying this message. If you want to remove history and other data accumulated during your browser usage, place a check mark next to the Also delete your browsing data? option prior to selecting Uninstall. This option may not always be available, depending on your browser version. Firefox will now be removed from your PC. This process is usually quick, but may take longer depending on your computer's hardware configuration as well as the amount of data that is stored within the browser. Once complete, you'll notice that Mozilla Firefox is no longer shown in your installed applications list. To fully remove Firefox from your Mac including all related browsing data and profile-specific information, you'll first want to delete all Library files associated with the browser. To do so open your Firefox app from the Dock, Launchpad, Applications folder or anywhere else you have the Firefox icon. Click on Help, located in the Firefox menu at the top of the screen. When the drop-down menu appears, select Troubleshooting Information. A new tab will be displayed, containing a wealth of low-level details about your Firefox installation intended to help troubleshoot any potential issues with the application. Locate the Profile Folder section, found under the Application Basics header, and click Show in Finder. A Finder window will now be displayed, containing profile folder(s) associated with your Firefox browser. Select each folder found here and move them to the Trash, either by dragging them directly to the trash bin icon in your Dock or by selecting Move to Trash from the File menu. Shut down your Firefox browser completely, ensuring that all open windows have been closed. Return to Finder and navigate to your Applications folder, usually found in the Favorites section of the left menu pane. 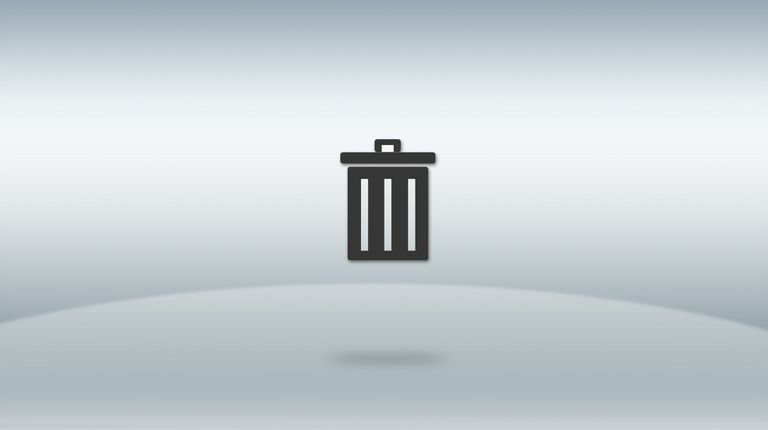 Select and drag the Firefox icon to your Trash bin. You can also select the icon and choose Move to Trash from the File menu, instead of physically dragging it to the Trash. Firefox should now be fully uninstalled from your Mac. If you've created shortcuts to the browser elsewhere, such as on your desktop, you may want to manually delete those as well. Launch the Google Play Store app on your smartphone or tablet. If you don't have the app installed, navigate to Google Play in a web browser other than Firefox. Tap the Menu button, located in the upper left-hand corner and represented by three horizontal lines, and select the My apps & games option. Locate Firefox Browser for Android in your app list and and tap once to select it. The Firefox app profile screen should now be displayed. Press Uninstall to remove Firefox from your Android device. A message will appear, asking you if you want to uninstall this app. Tap the OK button that accompanies this message. Locate the Firefox icon on your iPad or iPhone's Home Screen. Tap and hold the icon until it begins shaking, along with all of the other icons on the screen. Press the 'x' that is now accompanying the Firefox icon. A confirmation message will be displayed, asking if you want to delete Firefox and warning you that all app-related data will also be removed. Tap Delete to complete the process. Tap Done, located in the upper right-hand corner of the screen, to stop your Home Screen icons from shaking.